At St Peters we work hard to ensure that both children and staff can enjoy a happy and safe experience when at school. The health and wellbeing of all pupils and staff at the school is vital in making our school a happy and safe place to learn. Being healthy is certainly about eating the right food and getting enough exercise, but it is also about benefiting from a positive and nurturing environment. These are some of the reasons we choose to follow the ‘Healthy Schools initiative’, which has been developed following the Government ‘Healthy Schools’ white paper (2010). 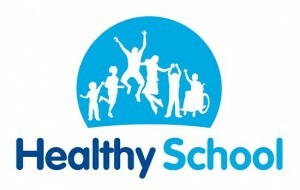 St Peters has again achieved the Government ‘Healthy Schools’ status – which is fantastic news! Every year, our year 5 and 6 pupils take part in the SHEU survey, which is a nationwide survey looking at children’s experiences, anxieties and concerns. As well as showing how our school is doing when compared to our peers, we are able to follow up on feedback received, addressing any issues or concerns and often using this to drive initiatives within the school. The children are encouraged to look at heathy eating and lifestyle – and how we can all do more! We hold sessions with both children and parents on bullying, cyberbullying and expected behaviour. Copies of the school’s Behaviour Code of Conduct have been provided to all parents and can be viewed on this website LINK. The children are encouraged to share their findings through Worship, posters and discussion groups. In addition we are pleased to run a regular Healthy Action and Equality Group, which includes teaching staff, parents and an amazingly enthusiastic group of children from year 6! The Group focuses on ways to keep on improving the health and happiness of the school and reports back to the Government run ‘Healthy Schools Committee’.